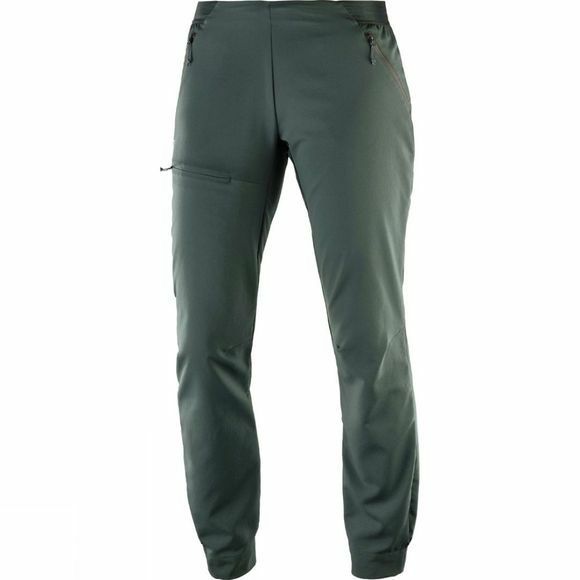 The Womens Outspeed Pant from Salomon is both protective and nimble. Durable double weave material repels water and acts as a barrier between you, rocky paths and the elements while still letting you move quickly. A sleek profile gives it a flattering fit.